Love Energy Techniques practitioners around the world gather together every week using Skype and a teleconferencing center to expand their Conscious Awareness with Unconditional Love Energies. In today’s Love Energy depressed, hectic digital world, this weekly gathering and infusion of Unconditional Love Energies enables and empowers participants to cope with the increasingly stressful conditions of life upon planet earth. We begin our Love Fests with a Basic Love Energy Technique that uses Unceasing Light Energies to cleanse participants’ Spiritual Energy Fields of Consciousness from the lower dimensional energies of anger, envy and jealousy deposited in one by others. Then, we use an Advanced Love Energy Technique that fills and expands participants’ Spiritual Energy Fields of Consciousness with Unconditional Love Energies. 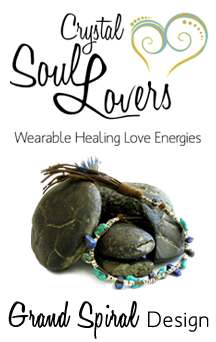 Next, during an ancient Sacred Waters Ceremony one self anoints one’s 3rd Eye Spiritual Energy Center with the negative ionized sacred waters that one self creates using our Basic Love Energy Techniques Sacred Healing Waters at home seminar recording. Once Love Fest participants are filled with the Unconditional Love Energies of Joy and Bliss, Ga Ra gives a short extemporaneous lecture about life and people’s personal experiences with the energies of Unconditional Love and Unceasing Light. Then, participants do freeform dancing with Teraphim and receive huge amounts of Unity Consciousness level Healing Energies of Unconditional Love that expands the size of their Spiritual Energy Fields of Consciousness. In this way, Love Fest participants become properly prepared to consciously travel, through a Tunnel of Love, (what science calls a wormhole in space, or a space-time tunnel), as a group, in their activated Merkabas to a distant Love Oriented location, personally guided by Ga Ra and/or Za Ra. At the distant Love Oriented location, participants enjoy a swim in the Joy filled energies of a unique lake and take a walk in the Bliss filled energies of a special valley. Each Love Fest is recorded at the teleconferencing center, so our practitioners may enjoy a Love Fest experience at any time, day or night, on any day of the week. Weekly Love Fests are open to the Activators, Healers and Adept Teachers of our Love Energy Techniques. 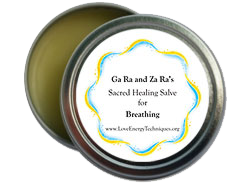 Each Sacred Healing Salve for Breathing is created by infusing the huge amounts of Unconditional Love Energies, generated in 7 ancient ceremonies, directly into an ancient formula of natural ingredients resulting in Sacred Beeswax, sacred medicinal plants and sacred medicinal oils.